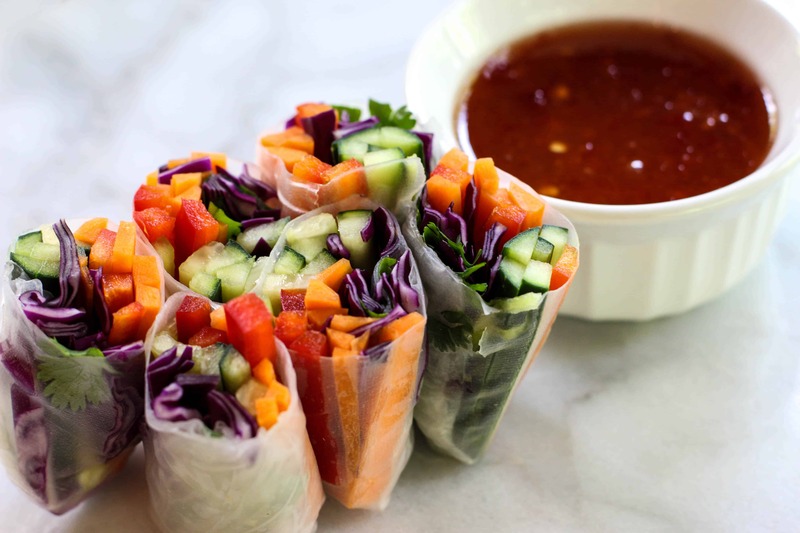 These Veggie Spring Rolls with Sweet Chili Sauce are perfect for the summer! They’re light and refreshing with all of the different veggie combinations you could use. The spring rolls are very easy to adapt to whatever flavors you’re feeling. You could even add some cooked shrimp to make it a dinner!